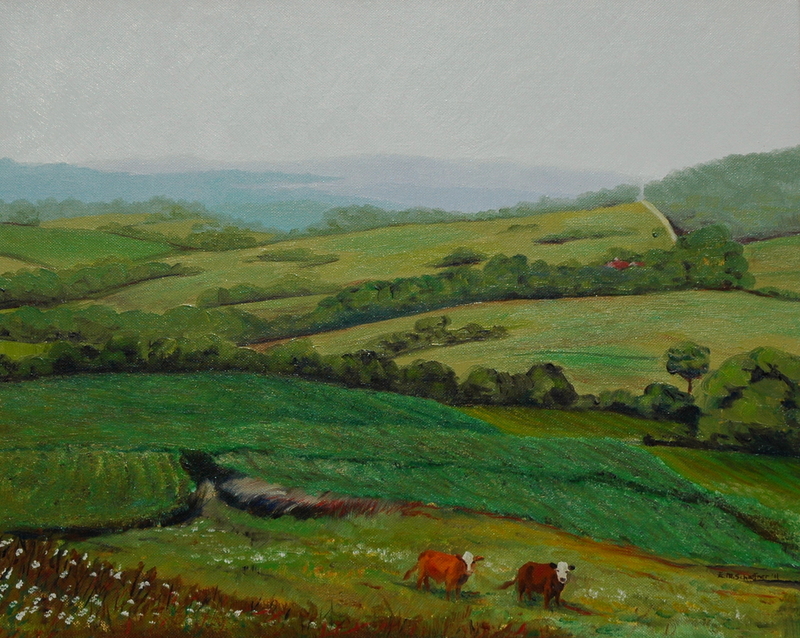 This original oil painting features the views of Northeast Iowa on a hot and hazy summer day. These cows may have been curious about my activities but they were more concerned about the water tank they were headed to on this 100 degree day! This painting sells with a simple, black frame with a 1 inch profile.